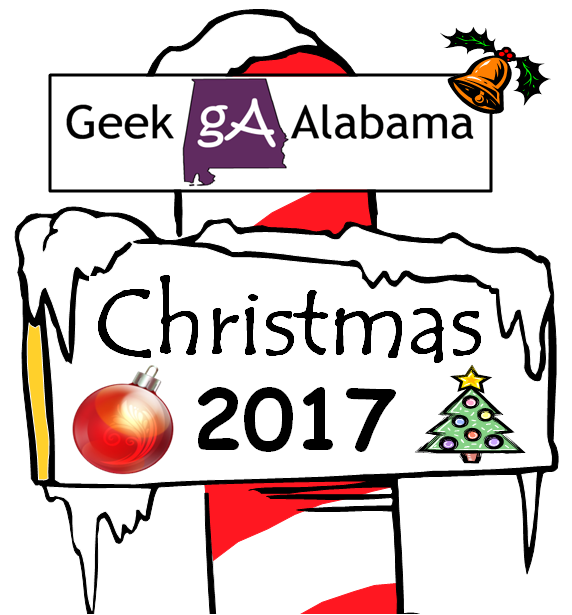 Over the Christmas season, I went to many Christmas themed events and attractions across East and Central Alabama. Everything from parades, home Christmas attractions, city Christmas light attractions, Christmas parties, and more. What I discovered over the Christmas season is the Anniston / Oxford metro severely lacks anything Christmas. Just up the road in the Gadsden metro, they have several major Christmas attractions! 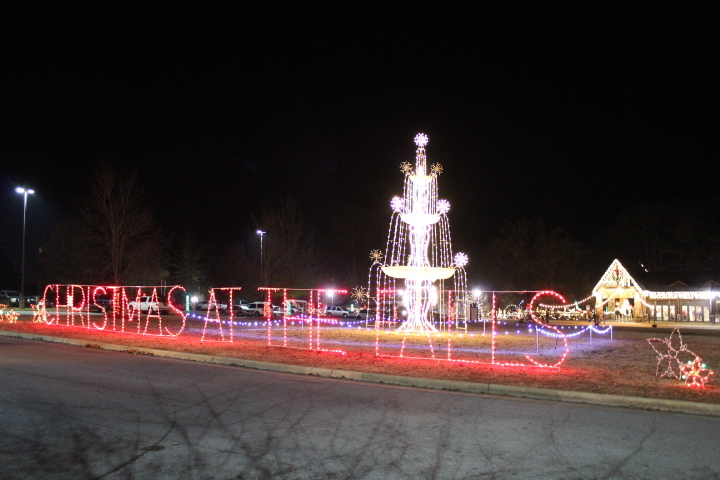 They have the over one million Christmas lights attraction called Christmas At The Falls at Noccalula Falls Park. 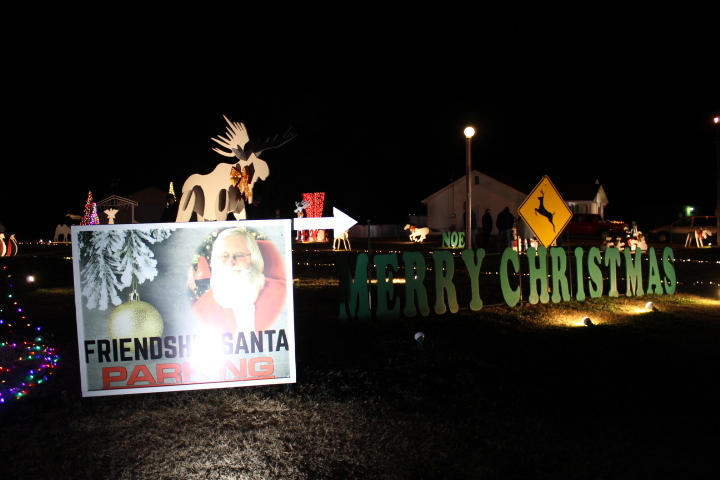 This event attracts many people every night during the Christmas season. 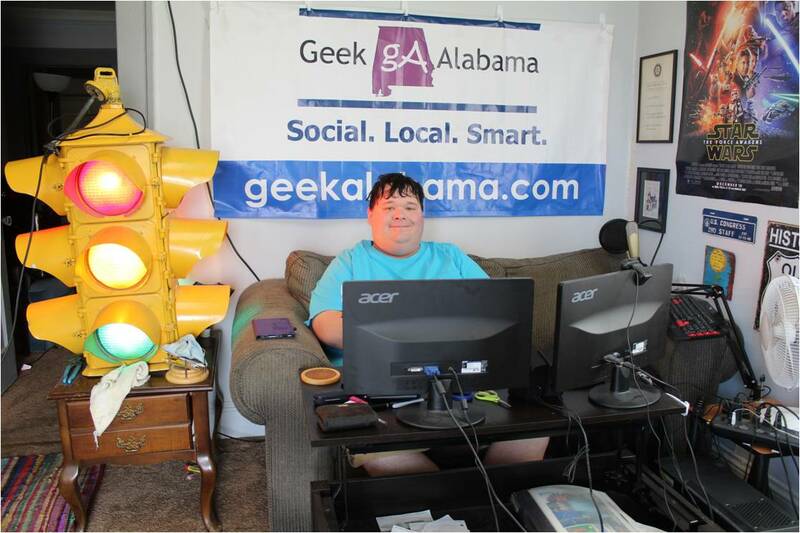 It’s so big now that Gadsden has to hire parking lot staff to direct traffic and shuttle drivers to pick up and drop off people from parking lots far away from the entrance. 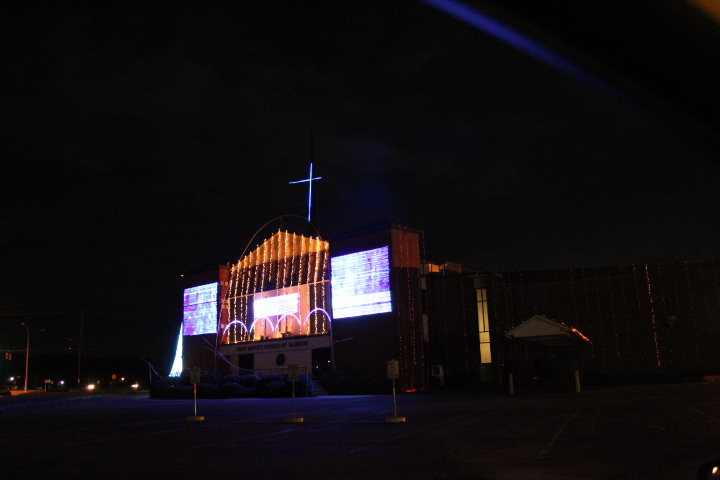 The Gadsden area also has a giant light show in front of a church in Glencoe. 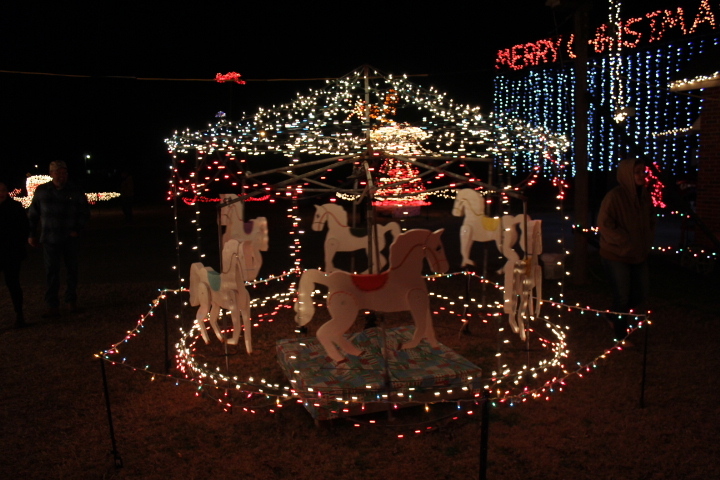 Glencoe Lights attracts thousands of people every Christmas season and has become a top attraction in very short time. Don’t have anything like this in the Anniston / Oxford metro. And the Gadsden area has a private family who puts out really cool moving Christmas lights at the Gilley’s. This attraction is very popular and attracts major crowds each night they are open. And this attraction will be featured on national television next Christmas 2018, which will bring out even more crowds. Get the idea, cities all around the Anniston / Oxford metro are putting out bigger and better Christmas attractions that attract many people. And these people usually spend money before or after going to these Christmas attractions. I mean, you have got to eat. Or maybe people want to get a little Christmas shopping out-of-the-way. The Anniston / Oxford area is losing out badly over Christmas events and attractions, which helps to bring in badly needed tax revenue and gives locally owned small businesses shoppers. The only Christmas attraction in the Anniston / Oxford metro that attracts people is Friendship Santa. The Robertson family is doing a really good job with their Christmas attraction. And it brings people from all over Alabama, Georgia, and the southeast. But, this is the only Christmas attraction here. And that’s really sad. Because this area needs more Christmas attractions! I would think the goal is to keep more money locally in this area. But instead, people need to go to Gadsden, Huntsville, Cullman, Birmingham, Atlanta, or other areas to see cool Christmas stuff, and that needs to change. I am not talking about Christmas parades here, because every city large and small does a Christmas parade. I am talking about actual large Christmas attractions and events that would attract people. And these people are likely to spend money at a local restaurant, or speciality shop, which in turn brings in tax revenue for the cities, and keeps money local. It’s not really hard here! If Oxford and Anniston could spend some money to put in some wonderful Christmas attractions, it would really pay off at the end. And not like that sorry Christmas tree lightning Anniston tried this year. 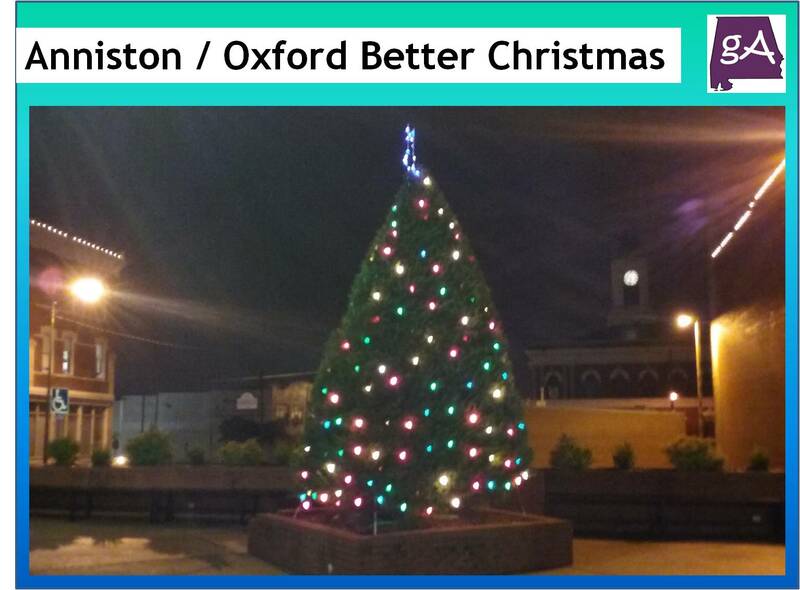 So, I am going to highlight a couple of things the Anniston / Oxford metro could do, to create some cool Christmas attractions and events, that would bring people out to see them. Cities like Huntsville and Tuscaloosa allow businesses, churches, charities, organizations, families, or anybody to decorate and place a Christmas tree along a sidewalk or trail during the Christmas season. 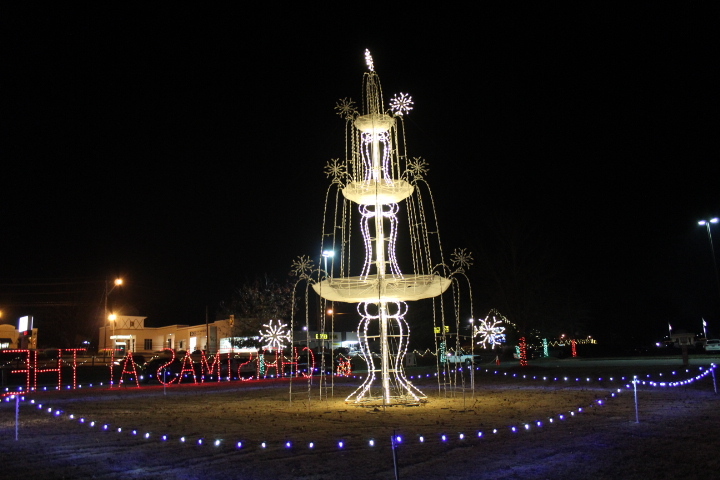 In Huntsville, there are over 300 different Christmas trees places in Big Springs Park. This event alone attracts thousands of people every Christmas season. And people take plenty of photos and post them on social media. Which in turn attracts even more people to come out. Get the idea? 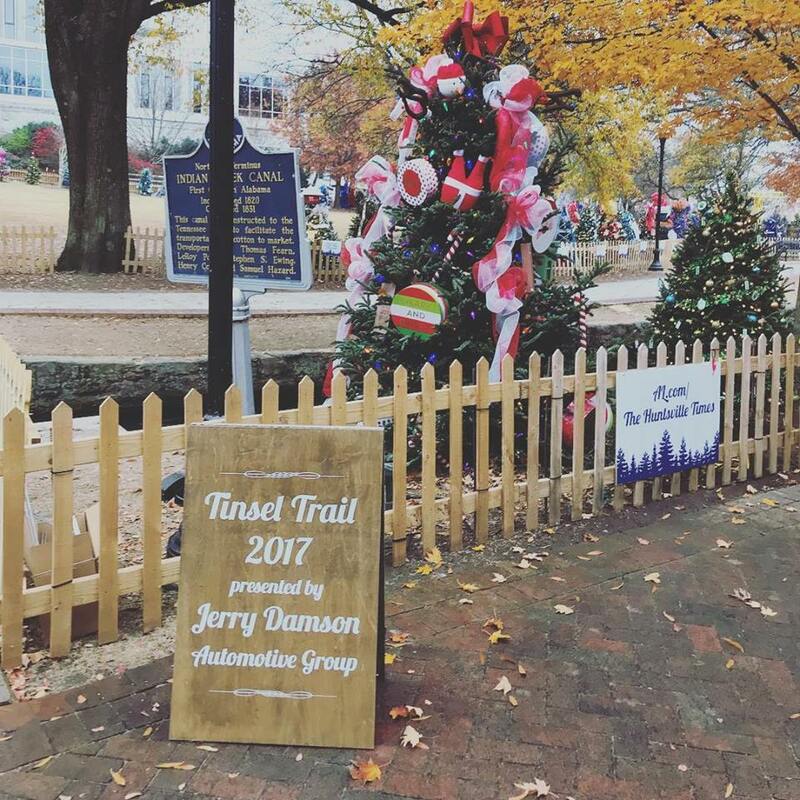 Anniston / Oxford could do a tinsel trail at Zinn Park or Choccolocco Park. Many cities and towns do a special Christmas trolley every Christmas season. This small bus takes people around the town to see the Christmas lights and attractions all throughout the local town. In many cities, Christmas trolleys are booked months in advance, and people really do enjoy this! 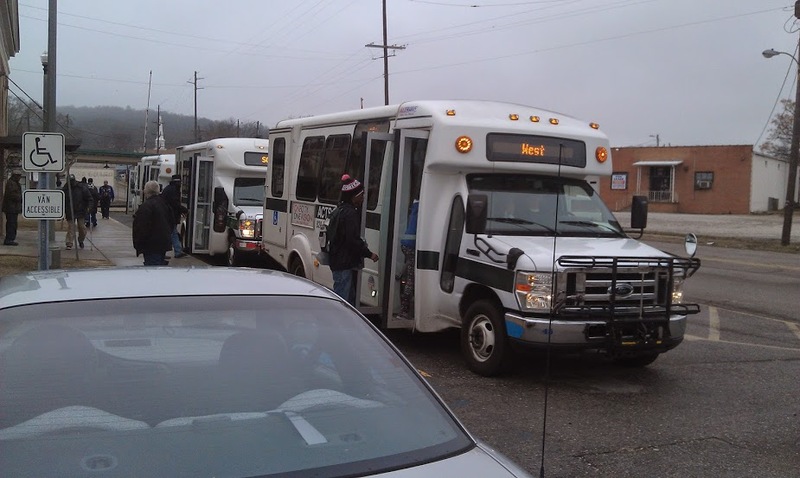 Anniston / Oxford already has a trolley service running. They could use one of the trolleys to do a Christmas light tour nightly throughout the Christmas season. 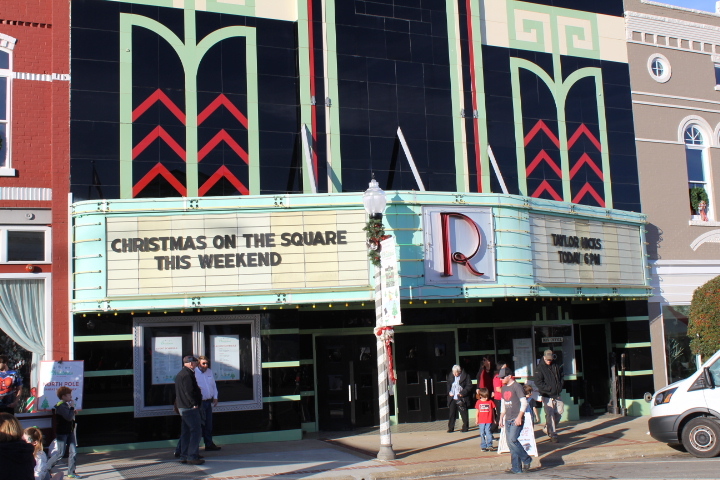 A couple of years ago, Downtown Anniston used to do several Christmas events. These events included a ice carver, carousel, and many other cool things for the entire family. But Anniston sadly quit doing this. Now, Talladega is doing this in an event called Christmas On The Square, and for its second year, the event saw record crowds, and very positive feedback. Why can’t Anniston or Oxford do some Christmas block party type event in downtown? It brings people out, and people spend money. This is a no brainer! Pell City is doing something smart. 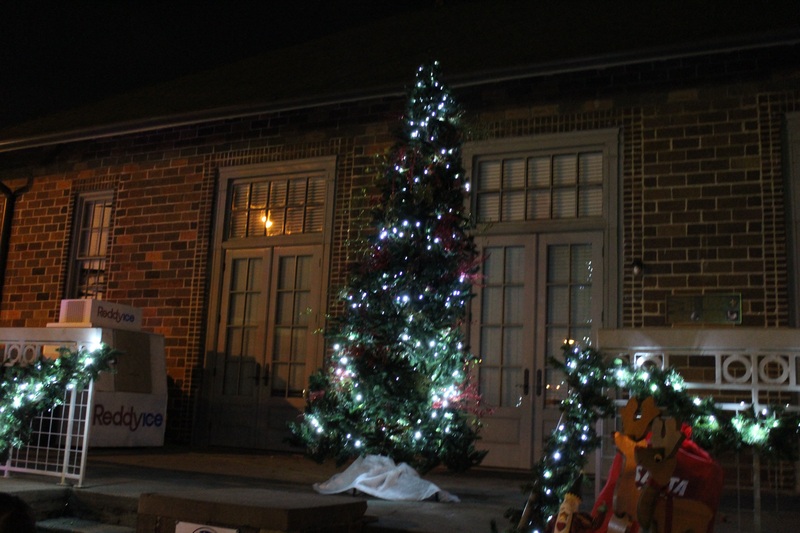 At their Christmas At Lakeside Park event, businesses, churches, charities, or anyone can put up their own Christmas lights or decorations on the side of the road. 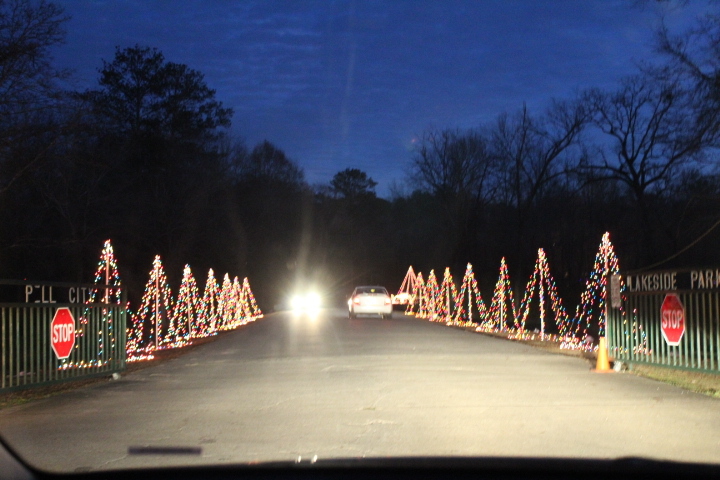 And people can drive into the park, see these Christmas decorations, and even park and walk up to them. When I covered this, there was plenty of traffic in the park. This brings awareness to local businesses, and people spend money eating out or shopping, a win-win! This could be done in Choccolocco Park, or in the McClellan area. What Main Street Anniston did with their Christmas tree lightning in Zinn Park was a major disgrace. Every city large and small puts up bigger and more beautiful city Christmas trees. Main Street Anniston promised a beautiful city Christmas tree, carolers, hot cocoa, and Christmas activities for the kids, but we got none of that. So maybe next Christmas season, we can have a city Christmas tree everyone living here can be proud of. And have hot cocoa, carolers, and cool Christmas activities. Think about how beautiful Zinn Park would be with a tall Christmas tree and other Christmas lights and decorations. Even a temporary ice skating rink like what is done in Birmingham would be a hit. It can be done! Think about how beautiful it would be if let’s say Choccolocco Park, the McClellan area, or another area would be transformed into a Christmas light and attraction wonderland. Yes, admission would be charged to pay for costs, but people love going to, and enjoying Christmas lights and decorations. Just look at Callaway Gardens or Noccalula Falls Park. This can be done! 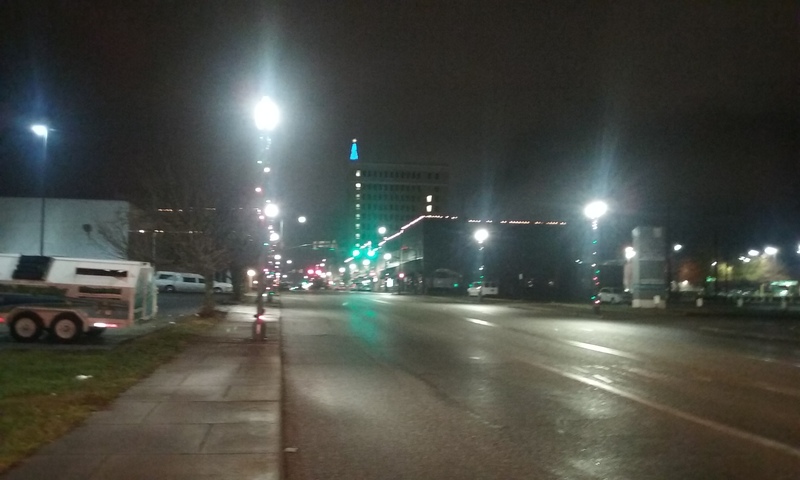 Let’s look at one city who does downtown during Christmas right. 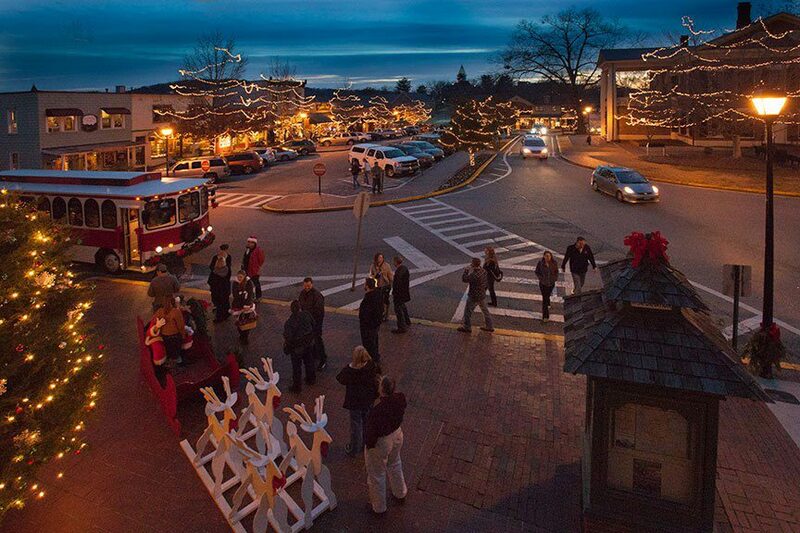 In Dahlonega, Georgia, every Christmas season they transform their downtown into a magical Christmas wonderland. It looks extremely beautiful and it brings in people from all over to look at the lights and shop. 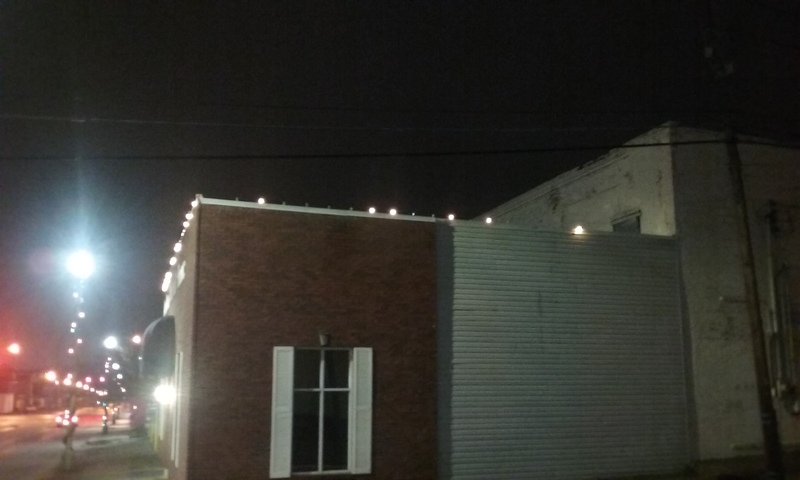 Here in Anniston along Noble Street, we have white bulbs along the buildings that are burnt out. 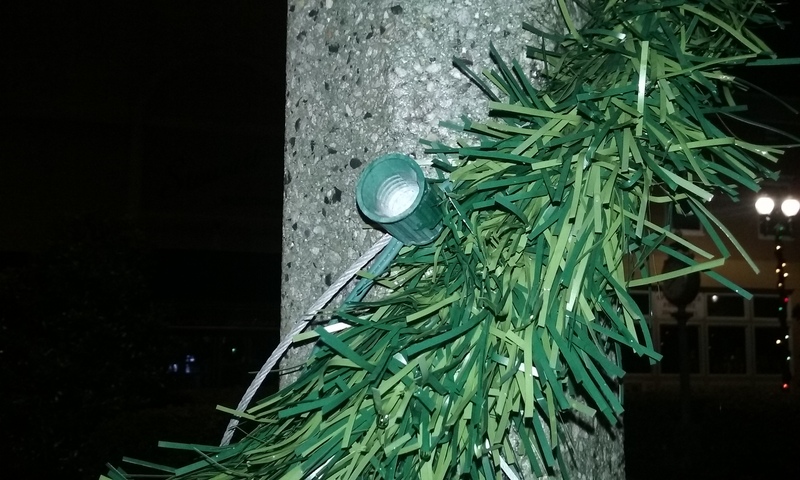 And the Christmas lights wrapped around the poles have some burnt out lights and some sockets without lights in them! 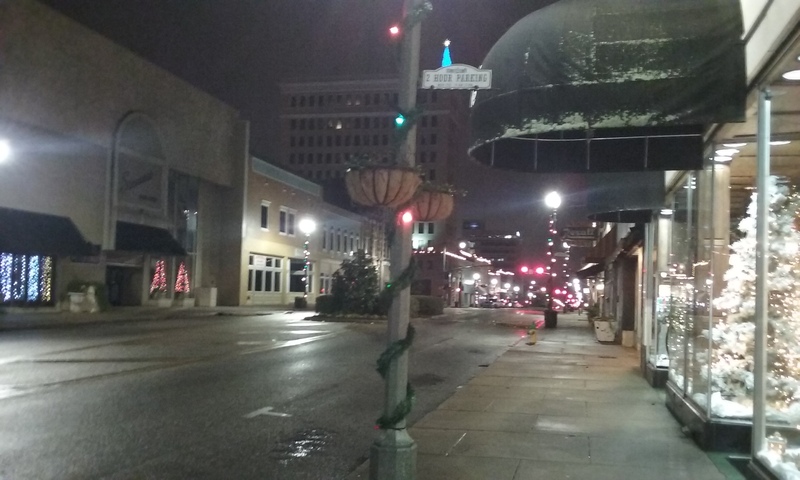 Downtown Anniston, and even Downtown Oxford, could both do a much better job with Christmas decorations. How about stringing Christmas lights and Christmas garland across the street? How about more Christmas decorations in the median pedestrian crossovers on Noble Street or on the sidewalk? You could string Christmas lights and decorations across the intersections on Noble Street and connect them to the traffic light poles. Much more could be done to make the Anniston / Oxford area feel like Christmas. Now I know what some are going to say next, what about the costs? Well, get business sponsorships! Some events might feature a small fee. The idea is this, the Anniston / Oxford area is being the Grinch when it comes to the Christmas season, and that must change! We can do a much better job during the Christmas season, but city officials like sitting on their butts and twiddling their thumbs. Let’s hope the next Christmas season is more magical here! Even little ol’ Ardmore on the Alabama/Tennessee state line has a tinsel trail. Does Fort McClellan even have Christmas plays/concerts at their performing arts theater? Fort McClellan, no. Their last show was in mid-November. There are one or two concerts at the new Oxford Performing Arts Center, but that’s it. Thanks for commenting!